Quick Access Popup (QAP) lets you move like a breeze between your frequently used folders, documents, applications, webpages etc. How to extract: Download the ZIP package and extract to a folder of your choice. Launch QuickAccessPopup-32-bit.exe or QuickAccessPopup-64-bit.exe. Overall this is an okay program not as good as Quick Cliq IMO and experience. Which is the main reason I wanted to comment as it is still being developed a new version came out 04/16/2018 that fixed a lot of Windows 10 issues. Personally speaking I also really don't like the donation bullying in QAP. I don't mind some well placed donation buttons especially in editors windows..etc but a perma-link in the main menu just leaves a bad impression on me. I tested this software to replace an old one, Windows XP dating, and no more updated for a long time: I am completely satisfied! J'ai testé ce logiciel pour remplacer un ancien datant de Windows XP et plus mis à jour depuis longtemps : et bien je suis entièrement satisfait ! I came to this software from Chameleon Folder. QAP has more features! 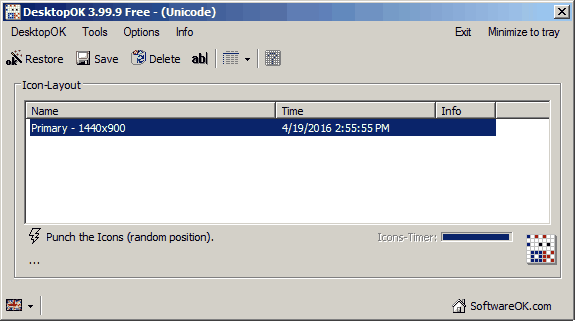 I like the ability to open a preset location inside of a file dialog. Very useful! TidyTabs enables you to add up to three tabs to any application window. You can group multiple programs into a single window and then switch between them using tabs. Tabs appear when you hover your mouse over the top left corner of the window. To group the application with another window, simply drag its tab onto the other windows tab bar and create a tabbed group. The program can exclude or allow specific programs. 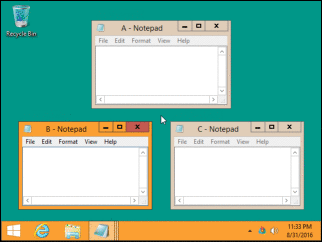 A pro version includes multi-monitor support, the ability to reorder/rename tabs and is not restricted to three tabs per group.